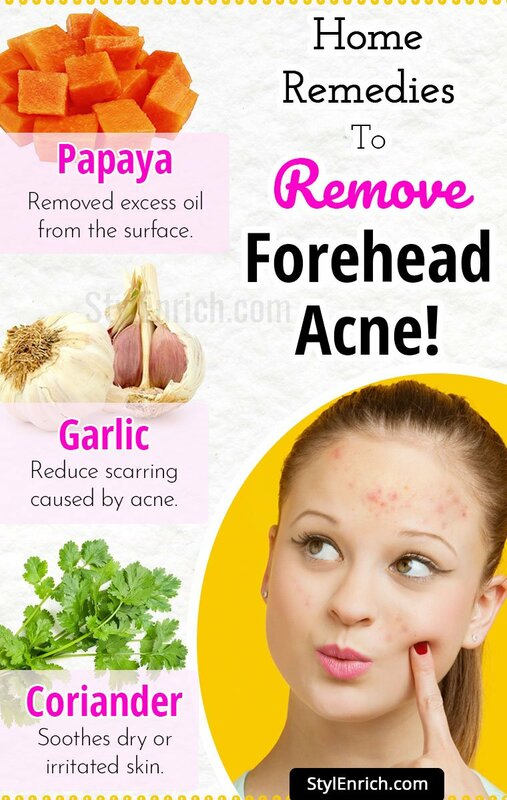 Forehead Acne : How To Get Rid of Acne With Top 5 Home Remedies! Forehead acne is ugly! True, people are too polite to comment upon those red bumps (papules) showing up on your forehead. However, the fact that their eyes keep straying towards them often, can definitely make you squirm inwardly! It is worse if these solid lumps have pus inside them (pustules). Nevertheless, do not try to pick at them or go in for heavy medications. Instead, try the following natural/home remedies outlined below. The strong smell may put you off, but do pay greater attention to the fact that it is chockfull of the good things connected with destroying acne on the forehead! Additionally, it is easily available in your kitchen. There is Allicin in this herb, which is a renowned enemy of harmful bacteria and fungi, as well as malevolent viruses. 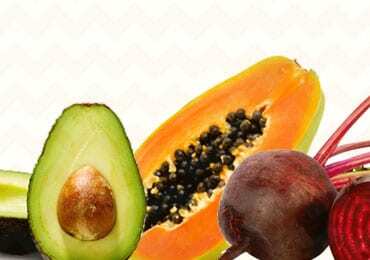 Anti-oxidants, such as vitamins B6 and C, and minerals (phosphorus, manganese, copper, selenium, zinc, etc), destroy free radicals that attack skin cells. Sulphurous compounds reduce scarring caused by acne. Your immune system and blood circulation will function more efficiently with regular intake of garlic. Prior to initiating any treatment with garlic, please wash your face. Use a gentle face wash, which contains ingredients that fight acne. Now, you may use this rather pungent herb in different ways, depending on how sensitive/tolerant your skin is to direct contact with it. Also, repeat the processes regularly. Make a puree out of three garlic cloves and apply it to the forehead. Rinse off with cold water after a few minutes. Gently pat dry and apply a moisturizer (non-comedogenic). After crushing three garlic cloves, mix them with a tablespoon or more of normal water. Spread the mixture all over the forehead. Wait for 10 or 15 minutes, prior to rinsing with cold water and patting the skin dry. Alternatively, leave the application on the forehead, overnight. Mix garlic juice and water or rosewater. 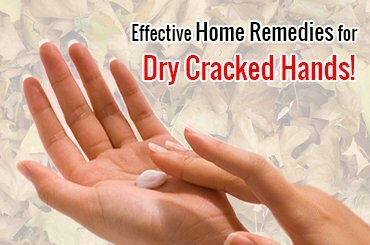 Spread over the forehead acne, leave on for 15-20 minutes, rinse and dry. Keep whipped egg white ready, before you begin the process. 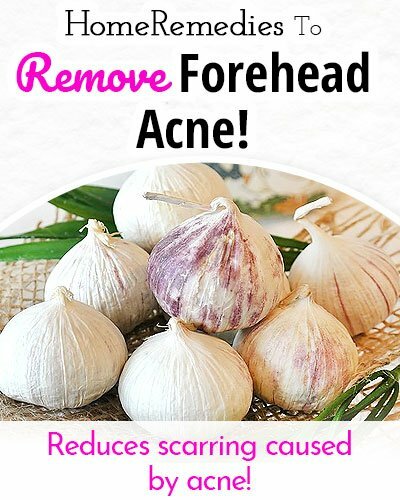 Apply peeled and sliced garlic cloves on your forehead. Focus more on the heavily acne-ridden areas. Let the application dry, before you spread the egg white all over it. Wait until the forehead is completely dry, before cleansing it with lukewarm water and drying it. Repeat daily. Blend four garlic cloves and a tablespoon of yoghurt. After application, allow it to dry. Rinse your face and pat it dry. Do you have apple cider vinegar at home? If so, add it to the juice extracted from a few crushed garlic cloves. Keep the proportions of vinegar and garlic juice equal. Apply this solution to the affected areas, with the aid of a cotton ball. Use lukewarm water to rinse your face after five or ten minutes. Repeat daily. You may use a mixture of extra virgin olive oil and peeled garlic cloves if your skin is inflamed and irritated. The proportion should be four cloves and four tablespoons. Place the mixture in an airtight container, prior to refrigerating it. It may be stored for 48 hours only. The application must remain on the forehead for 15 minutes or so before you cleanse your face with cool water and gently dry. Repeat once more, during the day. You may even add water to this mixture and consume it twice a day. Drink eight glasses of water every day, for added benefit. 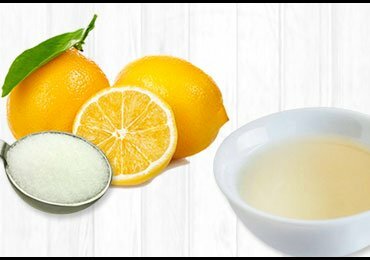 A natural bleaching agent, lemon juice can provide greater invisibility to those unsightly spots on your forehead. It also possesses anti-bacterial and antiseptic properties. Prepare fresh lemon juice twice a day – morning and evening. Wash your face and dry. 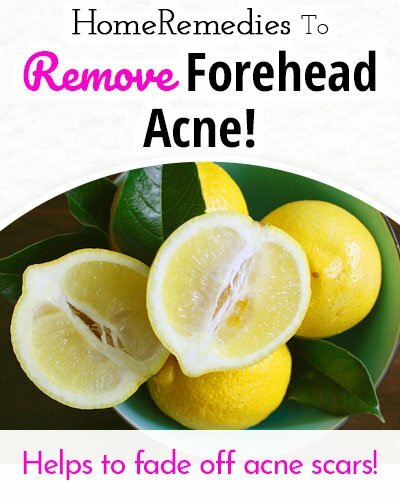 Use a cotton ball/pad to apply the juice to the forehead acne. Leave it on for half-an-hour or so, and then, rinse and dry your face. If the juice irritates your sensitive skin, add a small amount of plain water or rose water to the juice before the application. Repeat this process daily, for about three or four weeks. Lemon juice is always eager to make new friends! Therefore, you may combine it with a small quantity of cinnamon/sandalwood powder, an equal amount of groundnut oil, or a glass of boiled milk, too, instead of normal water. This juice is rich in vitamin A, vitamin B, vitamin C & vitamin K, as well as antioxidants and phytonutrients. It is ideal for forehead acne treatment since it provides a soothing effect to the dry or irritated skin. Make a thick paste of coriander juice, turmeric powder & mint juice. Ensure that the proportions are proportionate to one another. Spread the paste over the forehead in the evening. Rinse your face with warm water and pat dry. It is marvellous for oily skins, thanks to its cleansing properties. It will even get rid of blackheads and unclog large pores. Mixing baking soda and a few drops of water will give you a do-it-yourself thick mask. Spread it over the acne on the forehead, concentrating on the heavy breakout areas. Be regular with this application. It is a king among fruits, as far as skin care is concerned! 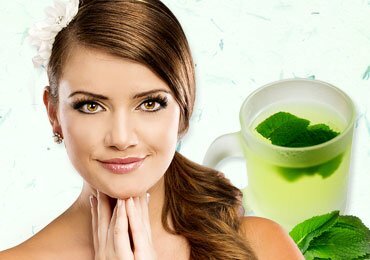 It has several excellent ingredients within it, which not only reduce acne formation but also lighten the scars. Chymopapain and papain are enzymes, which provide your skin with the necessary proteins to fight acne. They are also anti-viral, anti-fungal and anti-bacterial agents. After removing dead skin cells and excess oil from the surface, the fruit urges the beta-carotene within it to produce new and healthy skin cells. The presence of vitamins B and C prevent inflammation and enhance immunity. Lycopene is responsible for fighting free radicals. 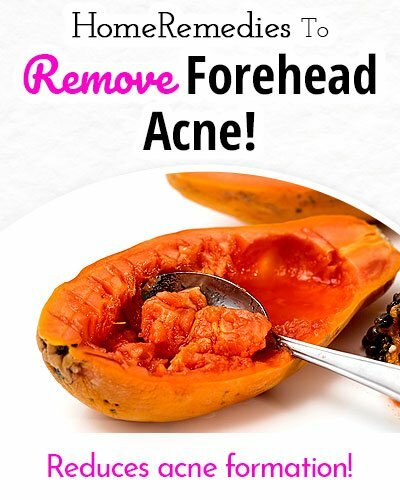 Wash and dry your face prior to applying fresh and smoothly blended papaya paste onto the forehead. It should dry within 20 to 30 minutes. After rinsing the face with warm water and patting it dry, apply a natural and gentle moisturizer on it. Repeat every day. Would you prefer to use papaya juice extracted from unripe chunks, instead? Then, spread the juice over the forehead acne. When it dries after 15 or 20 minutes, wash it off with cool water and dry the face. Repeat daily. If you wish to, you may add fresh pineapple juice too. The pus, inflammation & pain will disappear as if by magic! You may add powdered papaya seeds to water and blend them, in order to obtain a smooth paste. It should remain on the face until it dries completely. Rinse the face with cool water and dry. Do this daily for maximum benefit. Another method is to dry four fresh leaves and crush them into a paste. After mixing the paste with half-a-teaspoon of water, apply it on the forehead. Wash off with cool water and pat dry, when the paste dries. 1. What Is The Age Of Becoming A Victim Of Acne? It is stereotyped notion that only teenagers fall prey to acne. While it is true that the condition is at its height during adolescence, it may make an appearance in people over 40 years of age too. 2. 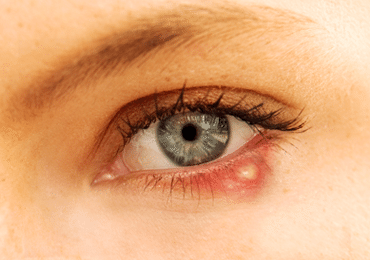 What Are Forehead Acne Causes? The major reason in a highly competitive world is stress and more stress! It simply pours out of your skin in the form of excess oil, which, in turn, clogs the skin pores. Then again, you have this bad habit of popping the zits whenever you get some time to relax! The bacteria are bound to be happy since you are giving them the freedom to spread even more! Rubbing and scrubbing the face frequently in the name of exfoliation can only invite acne to take up residence on your face, especially the forehead. Are you used to heavy makeup? Are you keen to experiment with all kinds of hair products, such as sprays, shampoos & gels? If the answers are in the affirmative, do not be surprised to wake up one morning and discover that you have acne! 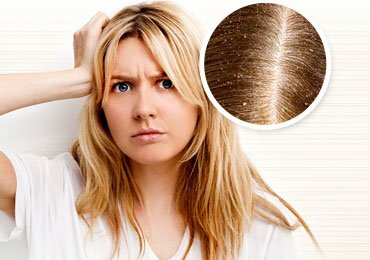 If you have an oily scalp or dandruff, strive to do something about it. Dandruff, specifically, is responsible for acne on the forehead. Surprisingly, malfunctioning of your digestive system, wherein you experience abdominal bloating, constipation, heartburn, etc, may become responsible for the spread of acne on your face. It is an internal anxiety that is manifesting externally. 3. 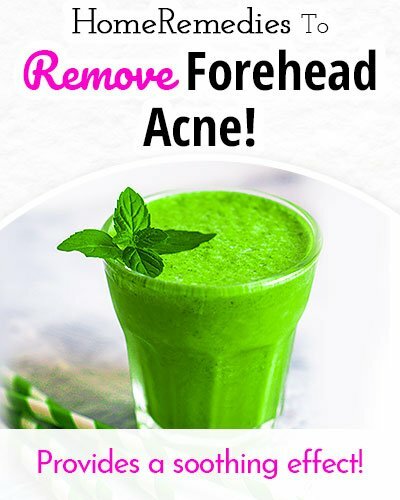 How Can You Cure Forehead Acne? 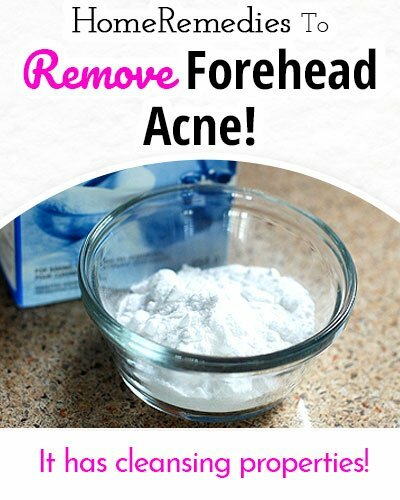 Since this is a common global malady, many people want to know how to get rid of forehead acne. You might have to cut out all dairy products from your dietary regimen, including milk, yogurt, cheese, etc. Of course, this heavy restriction does not apply to all. It is for those of you, who have such acne-prone skin that the condition returns repeatedly, even after treatment. This is because milk and milk products throw bodily hormones out of balance. Sugars and sweeteners are also enemies of your skin since they cause inflammation. Processed foods and beverages are also a big No-No if the bumps on your forehead refuse to disappear. Coffee with its high caffeine content is a stimulant, similar to sugar. It prompts the sebum-producing glands to secrete more oil. 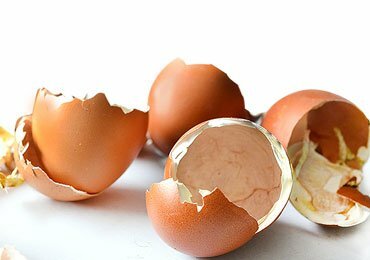 Naturally, your skin pores clog even more. 4. How Can We Treat Acne Scars? 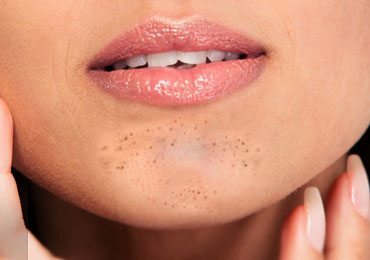 Acne scars tend to be as unsightly as acne is. However, there are ways to reduce their appearance. Rinse your face with warm water and a mild cleanser, before patting dry. Make a mixture of water and two grated garlic cloves. After applying this mixture onto the forehead, massage gently. Wash your face with warm water after five minutes or so. Prepare a mixture comprising of two garlic cloves (crushed), honey (a tablespoon), and olive oil (two teaspoons). Apply on the forehead and let it remain for 20 to 25 minutes. Rinse the face with warm water and pat dry. Apply a moisturizer containing aloe vera. If you have hypersensitive skin, try this. Add four/five peeled and crushed cloves of raw garlic to it. Heat the mixture for half-an-hour to 35 minutes, and then turn off the heat. When it cools, apply all over the forehead. When it dries, rinse your face with water. Dry the face and apply a gentle moisturizer. Thus, the appearance of acne should not terrify you, for all manner of harmless remedies can treat it. 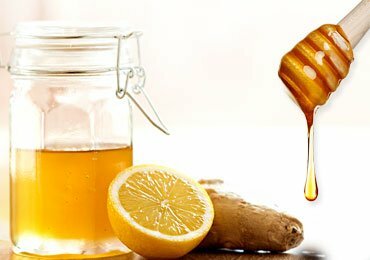 Read Next – Best Homemade Face Masks To Get Rid Of Acne!